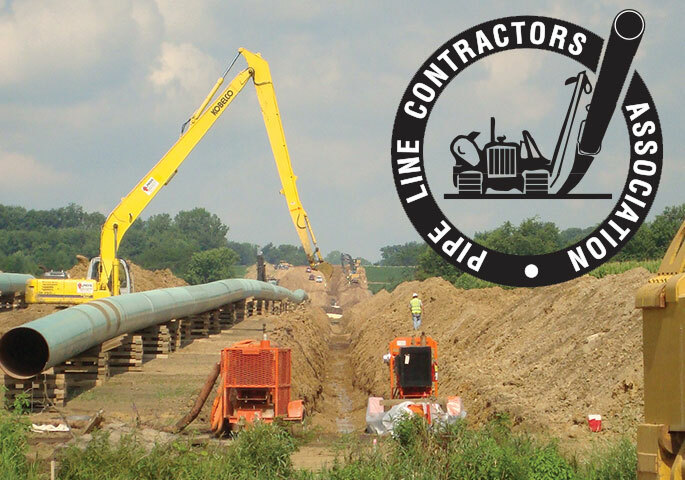 Members of the Pipe Line Contractors Association (PLCA) had a busy and productive year in 2018, continuing construction of projects already underway and beginning work on new projects. “It was a good year,” summed up Elizabeth Worrell (pictured left), who completed her first year as PLCA managing director and chief legal counsel. “The association’s members will record one of the busiest years on record in 2018 buoyed by projects such as the Atlantic Sunrise Pipeline, Mountaineer Xpress Project, the Mountain Valley Project and the Nexus Project, among others. Robert Riess (pictured left), Henkels & McCoy senior regional vice president and pipeline division manager, served as the PLCA president in 2018. “Growth is a big focus right now for the PLCA,” said Worrell. The association and the four industry unions – the United Association of Plumbers and Pipefitters (UA), International Union of Operating Engineers (IUOE), Laborers’ International Union of North America (LIUNA) and International Brotherhood of Teamsters (IBT) – hosted a Tripartite Reception in Houston last May. Other 2018 highlights included the 70th Annual PLCA Convention held in February, in Hawaii, and the PLCA Safety & Quality Conference held in October. The annual Safety & Quality Conference brought together PLCA members, union representatives and clients to discuss and share best practices in areas of safety and quality. Riess’ term as president of the PLCA will end in February at the association’s 71st Annual Convention in Fernandina Beach, Fla.
Reese said “it has been any honor serving the PLCA this year and working with the board of directors and numerous committees on the association’s many new projects and initiatives. “We have worked hard to promote the PLCA as part of the larger goal of growing and protecting the pipeline industry,” he concluded. The Pipe Line Contractors Association was established in 1948 and maintains offices in Dallas, Texas.